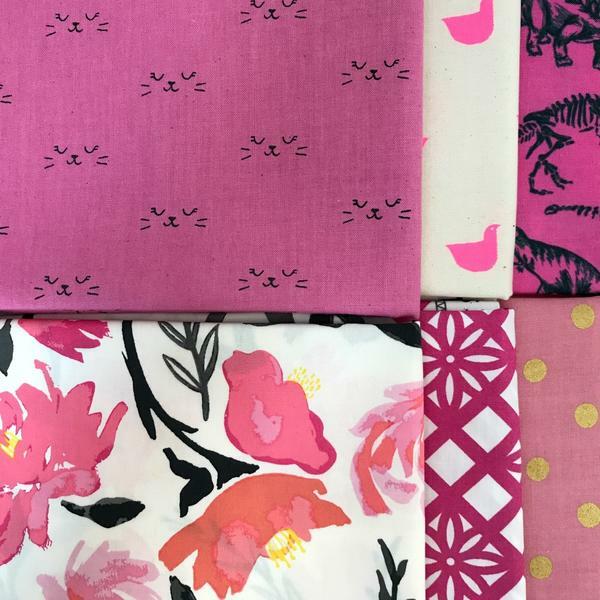 a $100 gift certificate to Bobbie Lou's Fabric Factory! To be eligible to win, complete your 30th fabric stack by midnight EST on Sunday, August 6th and tag that photo with #30DaysofFabricStacksComplete . Also make sure you've followed StitchedinColor, CharmAboutYou and BobbieLouFabric on Instagram. International entries welcome. I recently posted my 28th Day, Soft Botanical. What do you think? Soft Botanical/Day 28 for #30daysoffabricstacks. Not unlike my last Lake Cabin baby quilt! I could have added more true blue fabrics to this pull but everything felt too structured for the prompt. Guess I need to go shopping! It's a treat to pull fabrics based on my own mosaic contest prompt. I work at really mentally defining those color visions prior to writing the mosaic contest posts, but don't actually create them with fabric. The fabric part is definitely fun! Meanwhile, today I'm selecting one last weekly participant prize. The luck of the draw goes to @RuthinBend for her All Solids stack. Congratulations, Ruth! 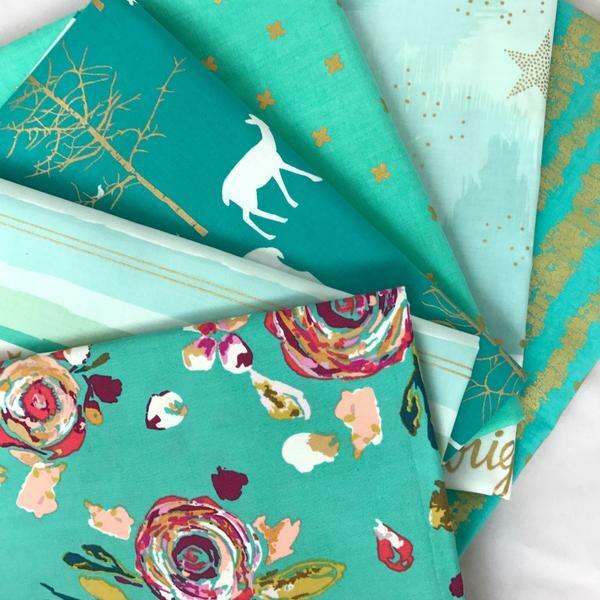 You get to choose any Fat Quarter bundle from Bobbie Lou's Fabric Factory. Lucky you! A big thanks to Bobbie Lou's Fabric Factory for sponsoring this challenge with so many generous prizes. The experience has helped us look a our fabric stash with fresh eyes and gain confidence in combining fabrics. It's awesome the way a bit of community can push us towards growth and joy. Thanks to everyone who played a part!